As you know if you spend any time hanging out around here, we are huge proponents of journaling as a means of identifying and exploring grief emotions. But let’s face it, sometimes you don’t feel like writing. Sometimes you have a child who doesn’t want to talk or write about their emotions. Lucky for you, today I am going to share a REALLY simple journal/art activity that is a great intro to art journaling for both kids and adults. No idea what an art journal is? It is exactly what it sounds like — a journal that uses drawing, collaging, photographs, painting (with some words thrown in there sometimes) to express emotions. These are great for kids and adults alike, especially those who aren’t so keen on writing. Even if you don’t want to commit to starting a whole art journal, art journal prompts can be therapeutic activities on their own. If you are looking for a some art journaling inspiration check out this great site. Disclaimer: art journaling can feel intimidating at first, because usually the people posting these prompts are really creative and artsy and their journals look amazing and beautiful. For years I looked at other people’s art journals, art journaling books, and art journal prompts and never tried my own because I knew mine would come out looking like something a second-grader made in art class then dropped in a puddle on the way home from school. In case you are feeling that way too I am going to drop some wisdom: get over it! Helpful, I know. 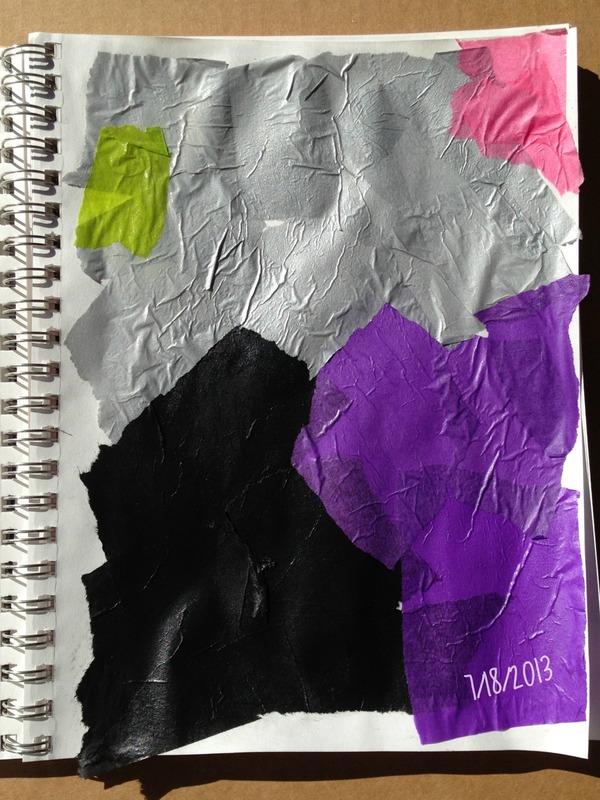 But here is the deal — art journaling is about the process. The outcome doesn’t have to look perfect or beautiful. This isn’t competitive. It isn’t something to hang in a gallery. It is something you can do for yourself (and potentially with your kids) to explore emotions, open up a dialogue, see your own evolution in a visual way, and feel good about creating something — even if it looks like something fished out of a puddle, like mine typically do. You have nothing to lose! We are going to start with a prompt here that requires zero skill, but that can really increase your insight (or a child’s insight) into the complexity and progression of grief emotions. 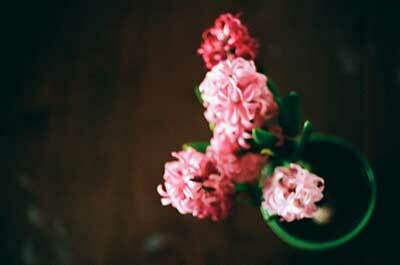 Grief is the normal and natural reaction to loss. Makes it sound so simple, right? The reality is that grief is not a single emotion, but a reaction to loss that is comprised of dozens of different emotions that arise in the months and years after a death. These emotions will come and go, change by the day (heck, by the hour), and can be confusing and overwhelming. They can feel all-consuming, erratic, and confusing. When you are in the depths of these emotions you can feel stuck there; feeling like they will never end and your will never move forward. For kids this can be confusing because grief isn’t just one feeling, it is many feelings, it can be hard to express the combination of emotions (especially when some of those emotions feel like they are in conflict with each other). For this activity you will use colored tissue paper to represent different emotions you are feeling right then. This can help you see a visual of how certain emotions are impacting you on any given day. It is an activity that is good to repeat over time in your art journal, as you will begin to see the ways the emotions of grief shift, change, and cycle. You may see themes in your grief emotions as they come and go, and hopefully (over time) you may see some happier emotions begin to surface on a more regular basis. 1) create a list of emotions you are feeling. Some common grief emotions are sadness, despair, anxiety, guilt, anger, denial, fear, isolation, loneliness, numbness, and countless others. There can be positive emotions too, like joy, gratitude, love, and hope. 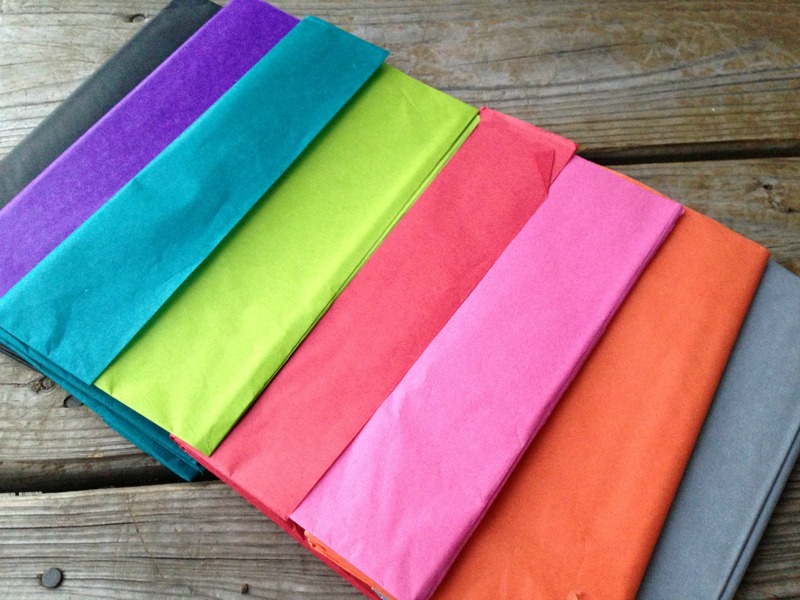 2) assign a color of tissue paper to each emotion on your list. 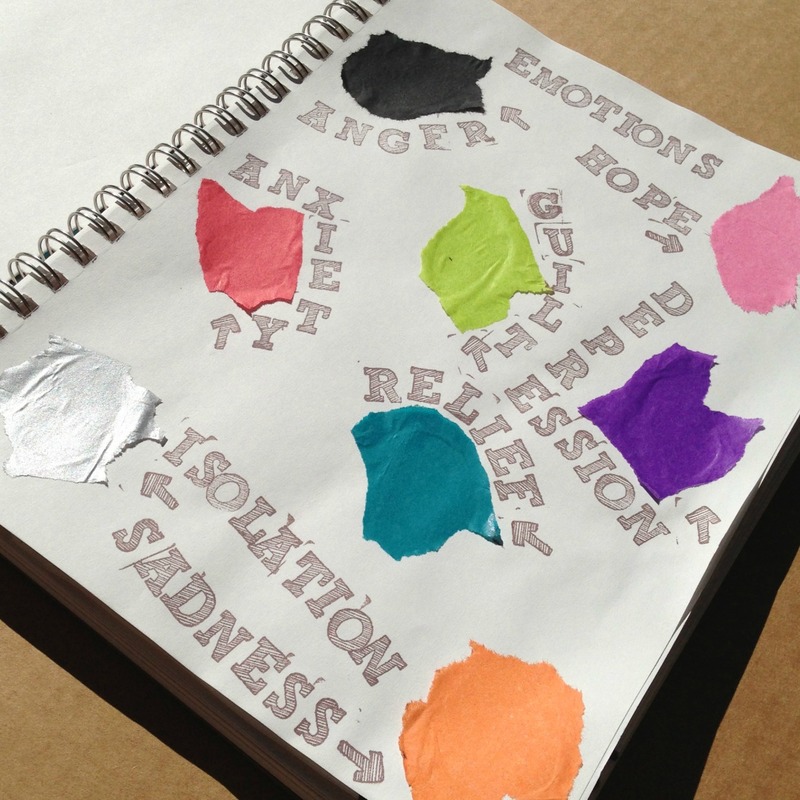 3) create a “key” page in your art journal showing each emotion and the color you have assigned. 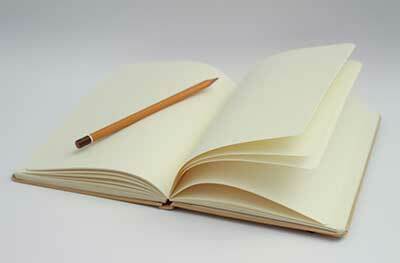 Keep a second page, or the back of the page, where you can add new emotions that come up in the future. 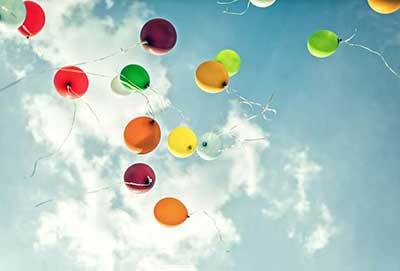 4) pick the emotions you are feeling on that particular day and find the related color. Tear up pieces of tissue paper associate with that emotion. 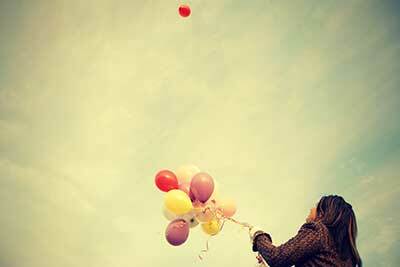 If you are feeling more of one emotions, tear up more pieces of that color tissue. 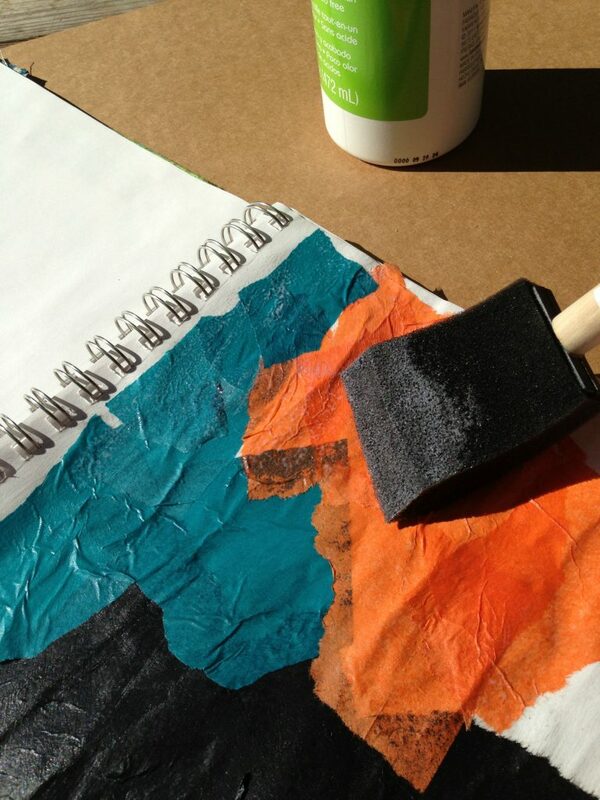 5) following the instructions on the decoupage, paint it onto your page. Place the different colored tissue on the page, in differing amounts to represent how much of a certain emotion you are feeling that day. Paint more decoupage on top of the tissue paper once it has been placed. 6) complete the entire page to represent the current combinations of emotions you are experiencing. THAT’S IT! How easy is that? No intimidating art skills required. You may find early on in doing this that many of your emotions are the painful emotions that come with grief. But even at the beginning you may have positive emotions too. Do not neglect the good emotions. Let kids doing this activity know that it is absolutely okay to be feeling happy emotions along with the difficult emotions. For a more advanced variation on this activity, if you have an experience that triggers extreme emotions you may wish to write about the event first. You can then cover your words with the tissue paper representing the different emotions that were triggered due to the event. 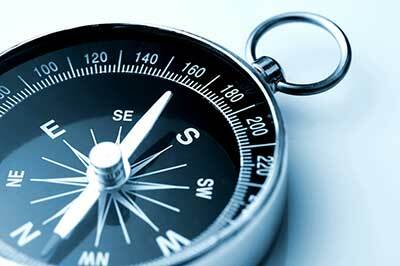 This can be helpful in seeing how different people, places, or things may trigger certain specific emotions. *helps visually show if one or two emotions are overwhelming and persistent, meaning they may need more time and attention. 13 responses on "The Evolving Emotions of Grief: an art journal activity for grievers"
Thank you so much for this. I’m a pretty rational person and the recent loss of my father in law has left me reeling. We are honoring his wishes to not have a funeral, obituary or notice of death, but I’ve been really surprised by how much having that structure (imperfect as it is) helped me in past losses. I really like how accessible this activity is and how it provides some of that structure without a lot of effort from me, so that I can focus my limited energy on sorting out and experiencing emotions. One note – apparently there are two kinds of tissue paper. 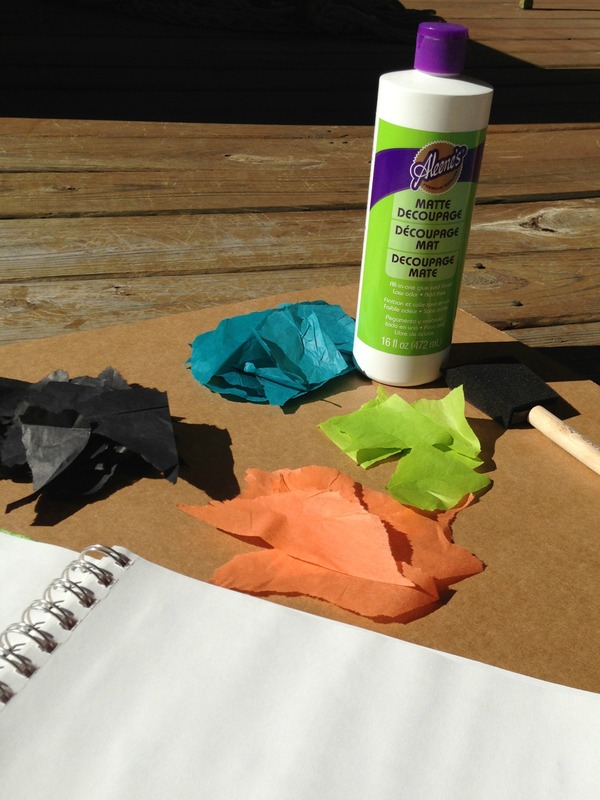 If you get “bleeding” tissue paper, which is designed to bleed its color when wet, your decopage might get more interesting than you expected. My Dad passed away last week and I was looking for a creative way to begin to process my grief. I did this activity last night and it was really helpful. I’m also an Expressive Arts Therapist, so not only did this help me, but I hope to use it with clients who may be struggling with grief. Thank you so much for this. This is absolutely amazing & so creative. I’d love to post the link on my blog. I love this. Think I will use watercolors on the page of my sketchbook and then write and doodle on it. Using all 3 together will help me to mind dump. Thanks for the idea. Ah, what a cool idea Sherri! If you do this and feel comfortable sharing, I would love to see a photo of how that works! I use Scotch restickable Glue Stick! 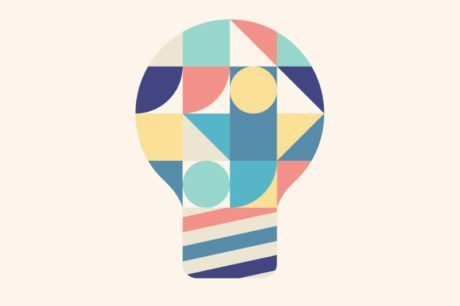 You can start with one idea and end up with something completely different. I am a perfectionist so this restickable glue works perfect for me!! Love love art journaling!!! Could you use glue instead of mod podge?? Absolutely! You may just want to water down the glue a bit so it is easier to spread. Have been living with my husband’s motor neurone disease ,ALS since 2010 and we share three daughters aged 8,14,16. After all this time I still find it hard to cope with my constant shift in mood. Happy one minute when I see the sun smiling upon us, full of fear and despair the next . Often it is hard to even identify the emotion that is enveloping me. Glad that you like the idea! Thinking of you today for your grandson’s birthday. I am sure it will be a tough day . . . Wishing you comfort!! !